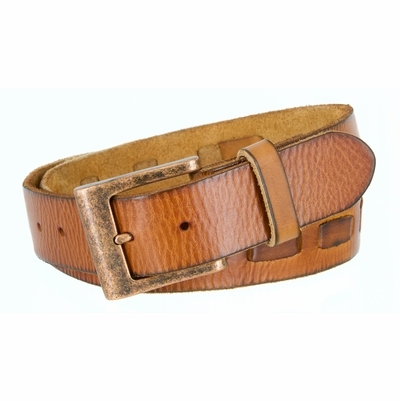 1-1/2" = 38mm wide 100% Genuine Full Grain thick Leather Belt with a Middle Hand laced. It has a very soft and comfortable feeling. Casual jean belt for a proper fit and to style your clothing and shoes. Made with two snaps for easy buckle change. 5 Holes for easy fit adjustment and a stylish copper plated buckle.